A well maintained lawn or garden compliments the beauty and aesthetic elegance of your home. A beautiful lawn not only adds to the charm and appeal of your home but also adds to your comfort level. Besides this, it makes the best first impression on visitors and enhances your personal or social image. Taking care of your lawn or garden is a time consuming task, and if you are a busy professional you may not have enough time. If this describes you, BestYard.com provides customized and comprehensive Lawn Care and Garden Maintenance Services in Arapahoe or Douglas county to make your lawn look its best. 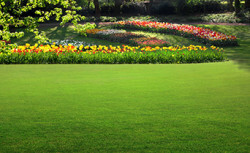 Whether you are in Aurora, Parker, Castle Rock, Castle Pines, Highlands Ranch, or Lone Tree, you can easily get complete lawn care services from the dedicated team of BestYard.com. Spring is the best time when the grasses of lawn or garden strengthen and expand their roots. Scientists at the Colorado State University have found out that over-watering of lawn in the spring just makes the roots shallow that dries sooner and develops brown spots. The shallow roots just curtail the growth of the grass, make them stressed and beg for more water. If the uppermost layer of the soil is let dry, then the roots of grass get deeper and that helps in the development of healthy and lush green grass, making it highly appealing and impressive. Like good parenting is behind a disciplined and well-mannered person, proper care and maintenance is behind a beautiful and lively lawn. You need not water your lawn in case there is a good spring rain every 7 to 10 days. Increasewatering to about every 5 to 7 dayswhen the days get warmer and windy. You must test the soil moisture before watering. To do that,use a stick not thicker than your pinky finger and push it against the soil. If it is hard to push, that indicates it’s time to water. Be careful:South-facing slopes need special care and maintenance as the lack of sunshine can chill and kill the grass. Hence, the grass needs frequent watering. Watering an area of the lawn all at once for about 15 minutes will lead to run-off and wastage of water that may not be useful for your lawn. You can plan to break the time slot of 15 minutes in three parts of 5 minutes each and water the grass of your lawn with intermittent breaks after every 5 minutes. This will provide ample time for water to soak in to the soil and let the grass get complete nourishment. With the timer on your sprinkler system you can set the schedule easily. If you are looking for a hassle-free, professional lawn and garden maintenance service, then just give a call on 720-851-7550 or submit a Quote Request on https://www.bestyard.com/quote-request/.